Automatically or manually display the start countdown. Detect the trigger signal of the Startgate. Wireless communication with the transmitter. High precision, real-time trigger the game. Insert into the snow and fasten the startgate. Display athlete’s number, current time and rank. 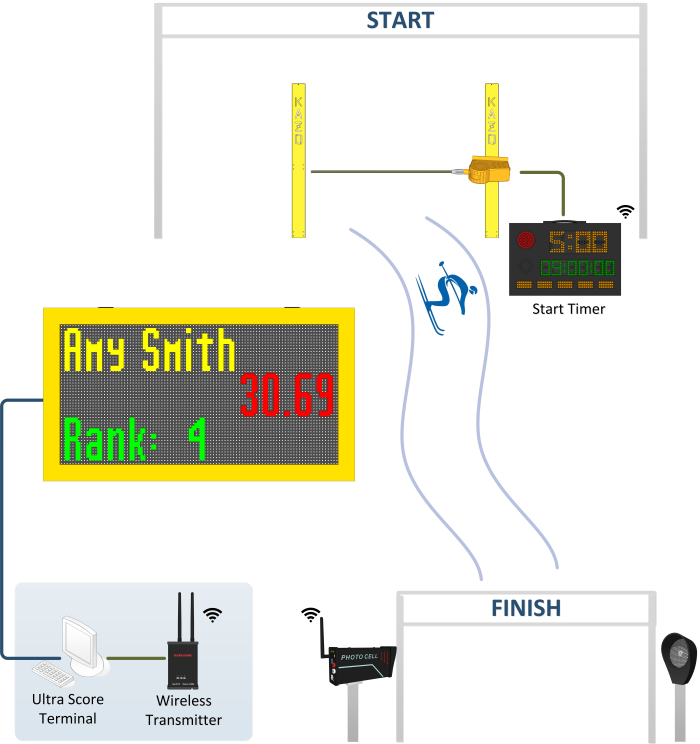 Display athlete's number, current time and rank.